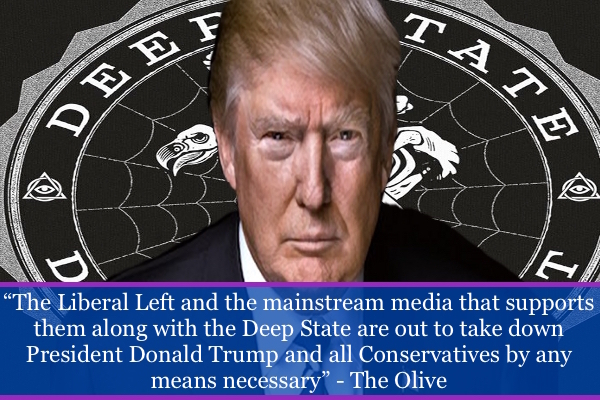 (The Olive) The Deep State’s war against Donald Trump has begun in earnest. The Politicrats have retaken the House and plans are already in place to obstruct, obstruct, and obstruct some more. The Politicrats will without a doubt attempt to shut down all investigations into Hillary Clinton, Obama, the FBI, the DOJ, and all other Clinton crime machine cronies. At the same time, there are already plans to launch numerous investigations into all things President Trump. Thank you, he needs it now more then ever.